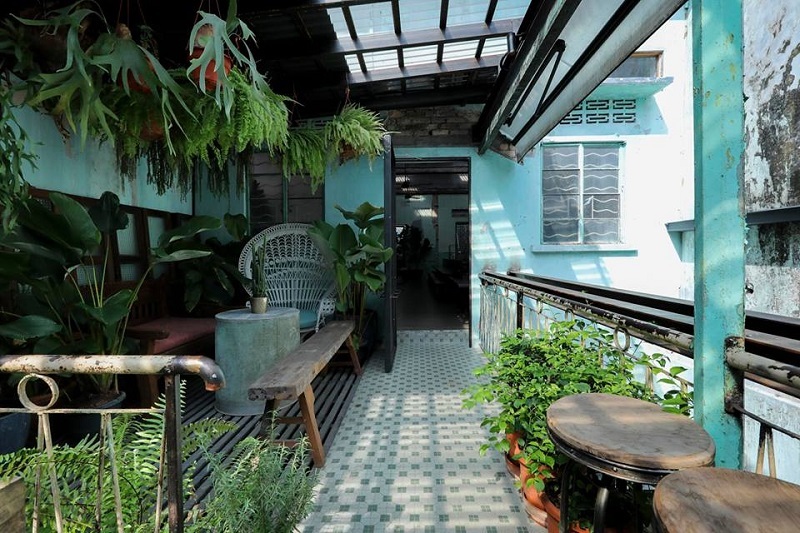 The charming bar in Petaling Street tantalises taste buds with a farm-to-glass approach. One unmistakably charming aspect of Kuala Lumpur’s Chinatown — also known at Petaling Street — lies within its pre-war buildings. They exude a sense of colonial nostalgia and blessed, bygone days in the middle of the modern metropolis. Several new F&B outlets have preserved the original characteristics of the buildings while making some improvements. The crowds have been steadily coming, thanks to the quirky, eclectic mishmash of outlets — from a Sino-esque speakeasy hidden behind the façade of an old toy shop to a trendy cake and coffee place set under pre-war rafters, with curling spirals of joss sticks and paintings of peonies as part of the decor. One of the newest kids on this trendy block is Botakliquor. If you are familiar with the charms of Chocha Foodstore’s cuisine (both outlets are owned by the same people), you would probably venture up the sturdy spiral staircase to Botakliquor without any hesitation. Botakliquor is one of the few bars in town that advocate a farm-to-glass concept, paying special attention to local botanical and home-grown ingredients as much as possible. The name of the bar is a play on its emphasis on clear spirits, “botak” (Malay for ‘bald’) being in reference to the spirits being devoid of colour. The drinks served here are also coupled with organic produce such as kaffir lime and curry leaf from the bar’s garden. 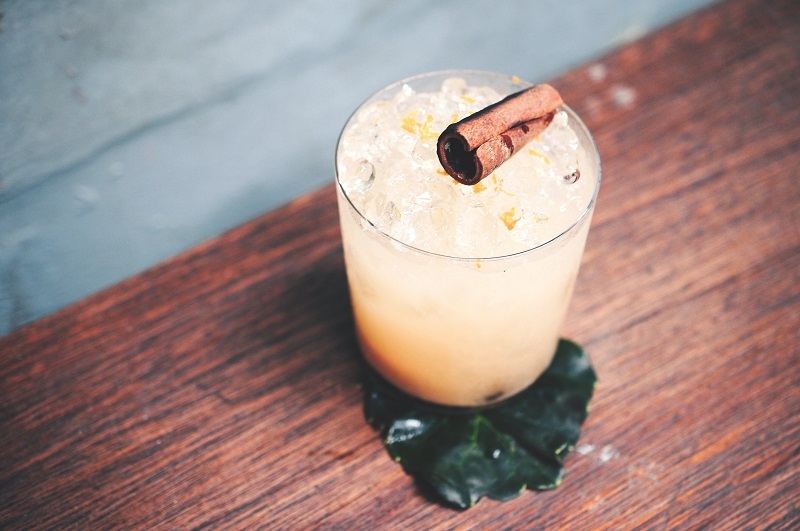 Staying true to the farm-to-glass approach, the menu is filled with home-made inclusions such as jasmine and elderflower cordial, red ginger lily soda and jackfruit liqueur. Another interesting aspect is that some of the cocktails are available on tap. When I visited recently, the inner section of the verdant watering hole was already heaving with people, so I was happy to find a spot at the garden-like terrace. 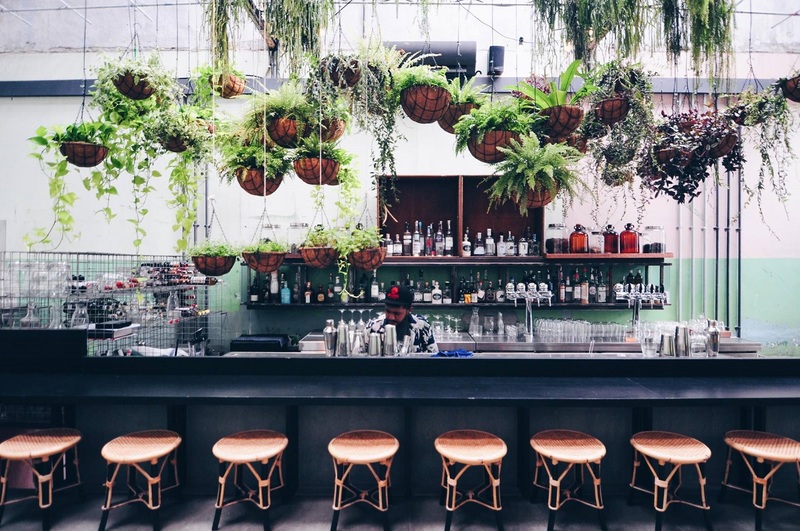 The bar has a tropical vibe and patrons are bound to notice the many plants that punctuate the space, some of which are used in the cocktails. Hanging conveniently above the bar counter, the fresh ingredients are easy to reach, especially when the bartenders are working feverishly during peak hours. The menu is divided into Botanical and Exotic. I start with the Jasmine x Tarragon from the Botanical section. Shortly afterwards, I am presented with one of the most delicate-looking cocktails I have ever seen. However, the pretty drink — served in a glass container that would not look out of place in a science laboratory with white flowers perched on its rim — packs a punch. The gin-based tipple also contains suze, homemade jasmine cordial, tarragon, lemon bitters and fizz, and is relatively sweet, but not exceedingly so. Next up, I tried the only whisky-based cocktail (not taking into account the customisable cocktail options), Sweet peas x Elderflower, crafted using un-aged whisky, sweet green peas, organic elderflower cordial and lemon. Heady with a slightly sweet aftertaste, it makes for an excellent after-dinner drink. The single rock ice cube allowed me to nurse the drink for a while. The third cocktail, and my favourite that evening, was the Rice x Pandan from the Exotic list. It proved to be a true delight to the senses, kicking off with the distinctive, intertwined fragrance of coconut and pandan oil before the smooth, fruity flavours of the concoction hit the palate. Made with gin, fragrant rice-flavoured coconut water and pandan oil, the smell and taste that blended seamlessly lingered long after the last drop of the drink. Though a fan of sweet cocktails myself, I gave the Chestnut x Orange — a mixture of gin and rum, chestnut milk, pineapple, cinnamon, lime and Botakliquor’s very own Oleo-Saccharum — a go. Slightly cloudy owing to the milk, the icy beverage has hints of cinnamon and a very strong sour flavour, almost jolting me awake in time for the descent down the spiral staircase to the exit. The service at Botakliquor is warm and efficient. No matter how busy the evening gets, you can rest assured that a waiter will diligently check on patrons seated outside. I found the experience to be a pleasant escape from the mugginess of the night air and view of a construction site for a multi-storey hotel that greeted me the moment I stepped outside. For the few hours spent there, Botakliquor — housed in a building dating back to the 1920s — provided a calm respite from the city and the experience was made more enjoyable by the delicious cocktails it offered. Botakliquor, 156, Jalan Petaling KL. 03 2022 1100. Tue-Sat, 4.30pm-1am; Sun, 3pm-10am. This article first appeared in the The Edge Malaysia on Jan 15, 2018.